WE TESTED: 5-10 with Nippon N.S. Pro Modus3 steel and 3-10 with True Temper Dynamic Gold AMT steel shafts. KEY TECHNOLOGY: The forging process stiffens the upper portion of the face for better results on misses. Shaping fades and draws is simple enough, while altering trajectory is moderately easy, too; performs well from most fairway lies and cuts through the rough admirably; smooth swings tend to create a higher ball flight than many blade-style irons. Average length for the category but consistent throughout the set; three-quarter swings yield predictable results; make a good move in the scoring zone and you'll be looking at a very short putt. More distance loss on mis-hits than other models in the better-player iron category; impact feels a bit harder than many testers prefer in a forged blade; doesn't quite live up to the high price tag, some testers say. 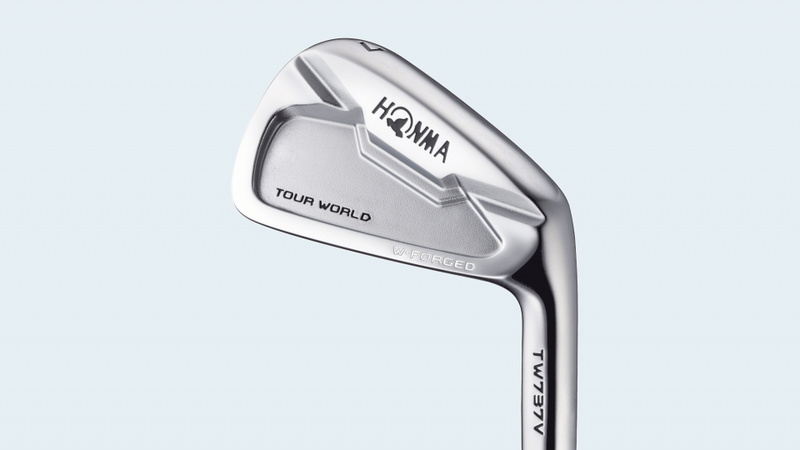 Though the feel at contact might take a little time to resonate with you, the Honma TW737 V is an overall respectable performer that produces good results on solid strikes.